Ever since I read Kiss of Deception, I knew I needed the next one. I had read it late last spring as an eARC, and after finishing it, I knew the wait would be utterly unbearable. I was fortunate enough to receive an ARC from the publisher at North Texas Teen Book Festival in Dallas, and when I held it in my hands, my heart sand with excitement! I received this book free from the publisher in exchange for an honest review. This does not affect my opinion of the book or the content of my review. All the way back in 2003 I read a book I fell in love with, Scribbler of Dreams by Mary E. Pearson. It was basically a Romeo & Juliet, star-crossed lovers story. It was the first story I ever reread a second time. 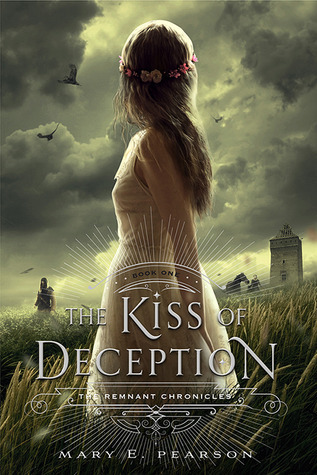 Since then, I haven’t gone out of my way to seek out her books, honestly I even forgot about Scribbler until I saw an ARC for The Kiss of Deception and realized it was Pearson’s. I knew I immediately had to nab it from NetGalley, not only because it was Mary E. Pearson, but because the plot seemed like it was exactly what I generally love to read. I received this book free from the publisher in exchange for an honest review. This does not affect my opinion of the book or the content of my review.